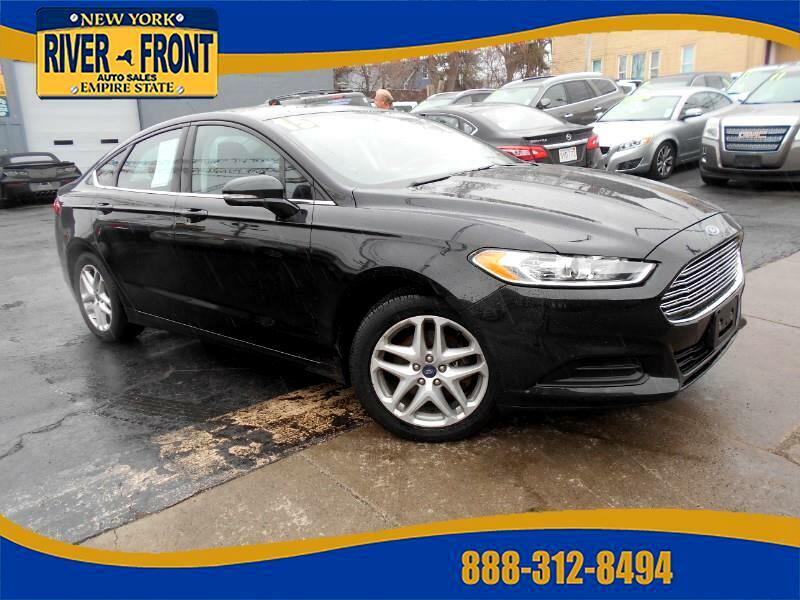 LOW LOW LOW MILEAGE ON THIS 15 FUSION!!! DON'T MISS OUT ON THIS DEAL!!! LOADED WITH FEATURES INCLUDING, air conditioning, climate control, passenger temp control, rear air conditioning, tinted glass, am.fm stereo, cd player, interval wipers, abs, power door locks, child proof locks, power windows, power mirrors, power drivers seat, power passenger seat, power lumbar, tire pressure monitor, cruise control on wheel, tilt steering wheel, keyless entry, lighted entry, remote trunk, driver air bag, passenger air bag, rear defroster, automatic transmission, side air bag, front bucket seats, console, carpeting, black cloth upholstery, traction control, power outlet, message center, lighted vanity mirrors, compass and temp, seats 5, satellite radio, front and rear arm rests, front and rear cup holders, phone ready, AUX, USB outlets, phone on wheel, owners manual, extra key, and exterior key pad! !